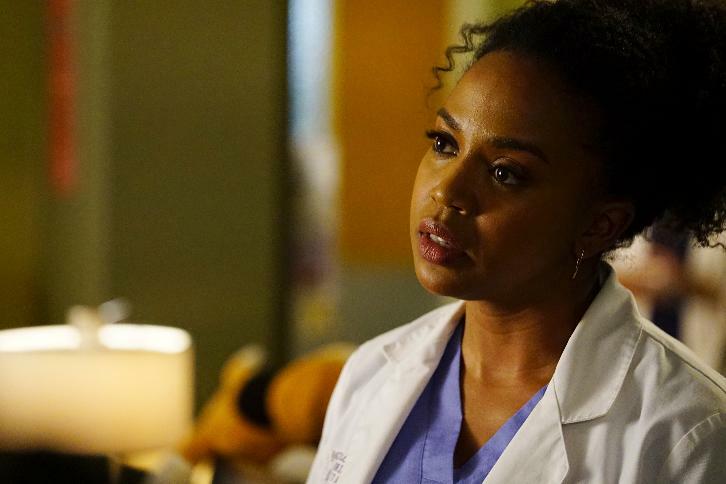 Ethics has been at the center of many episodes of Grey’s Anatomy, so it is no surprise when the theme reappears every so often. This episode was all about different types of medical ethics, which was interesting to observe. Whether it’s a very sick kid, inoperable tumor, or deciding which residents will get fellowship recommendations, the ethical dial was turned up a notch at the perfect time. Even though this episode may appear as a slower one on the outside, it really is about heating up to the final two episodes of the season. There may be no better lesson in ethics than one that comes from a patient who has accepted their fate with an inoperable heart tumor. Maggie decides to be risky by attempting to find a way to solve the tumor of all tumors. The patient knows that she only has about a year of her life left and has accepted her fate, so she doesn’t want another operation. She has a great speech about how all surgeons have the exact same stages of denial about the tumor. Since she is incredibly headstrong, Maggie tries to excise the tumor, only to find that is has gotten larger. Maggie is devastated that she can’t follow through on her promise to the patient. However, this storyline offers a great moral lesson that the patient is usually right. Patients typically know what will be best for them, and doctors don’t always take that into account. Maggie needed one of these wake up calls, as she has been all over the place this season. The story also offers Maggie and Meredith a chance to make up and get over their differences about Meredith hiding the fact that she has been seeing Nathan. Thankfully, everyone comes out of the story happy and willing to move on with their lives. The episode’s biggest ethical dilemma is because of a young boy who comes into the ER without his parents and asks the doctors for help. Alex, Stephanie, and Minnick are on the case, but can’t do anything without the parents’ consent. When the parents are located, they would rather have faith in their religion than let their son have brain surgery to remove the tumor that is eclipsing his brain. The parents decide to take their son home, which angers Stephanie and Alex. Without consent, there is nothing more they can do — no matter how much they want to help the boy. When the boy comes back the next day alone and blind, Alex decides to take matters into his own hands by faking a seizure on the chart to qualify the boy for emergency surgery, which requires no consent. Stephanie decides to go along with it, as she really can’t say no to helping a child. The father is extremely upset at what transpires and threatens to sue the hospital and all the doctors. Stephanie goes off the deep end and throws a tablet at the father when he doesn’t understand why helping his child was the right call. Stephanie starts a downward spiral that may cost her her job by the end of the season. Alex, on the other hand, has a great arc by actually risking his career for a good reason. The case is a huge ethical dilemma, which brings up the grey areas of medicine. Minnick, Bailey, and Richard spend part of the episode trying to decide which of the residents will have a strong future in medicine. Bailey and Richard get upset when Minnick mentions that Stephanie should have gone through therapy after her boyfriend died last season. Minnick also says that Ben is falling behind by taking safe surgeries and has taken no risks in a while. Richard tries to get to the bottom of the Ben situation and comes to realize that Minnick is right. He tries to put a spark in Ben by getting him to realize why taking risks is necessary, so we will see if Ben steps it up. It seems that Minnick was also right when she said that Stephanie was a ticking time bomb, as Stephanie verbally explodes at the father of her patient. They revoke Stephanie’s surgical privileges, forcing her to go through counseling. The teaser for the next episode shows that Stephanie will be in a bit of trouble with another patient, and I’m not convinced that she will be around next season. The episode provided a lot of character development through this small plot point, which is refreshing. All of the stories did include character development, so the episode truly was positive and well-written. There’s just one more plot point to mention going into the final two episodes of the season. A lot of the characters are moving on with their lives, thus the character development. Without development, the show would be going nowhere, which is why this is very important to mention and recognize. First, Meredith, Maggie, and Amelia are back to being a happy family and supportive of each other. Things are going well at home and at work for them, so it’s time to fix their love lives. Continuing her arc, Meredith shows that she truly is serious about moving on from Derek. She takes out the part of the wall where Derek drew his miracle tumor in season six and offers it to Amelia. She then puts their sticky note wedding vows into a dresser drawer, and closing the drawer signifies Meredith has put the past behind her. Even though Meredith blows Nathan off once in the episode, she does go home with him at the end and holds his hand. It will be nice to see Meredith happy for the first time in a long time. Also on the romantic front, Andrew decides to ask Jo out on a date and declare his feelings for her. Jo finally makes a cameo appearance for the first time in weeks and turns him down in a very polite way. Could this mean that Jo still has feelings for Alex and wants to potentially re-explore their relationship, or does she need time for herself? Also, with Jo back in the picture, will it finally be time for her story to be told? It is time to find out who Jo is and what her past demons are? Because we have been on the hook for too long. With everyone trying to find a happy place in their lives, it is time for a bomb to hit the doctors in the final two episodes of the season.